When it comes to the brain reflexes, our Presidians have unyielding critical thinking, logical and cognitive skills that are instilled in them from the very beginning of their school journey. 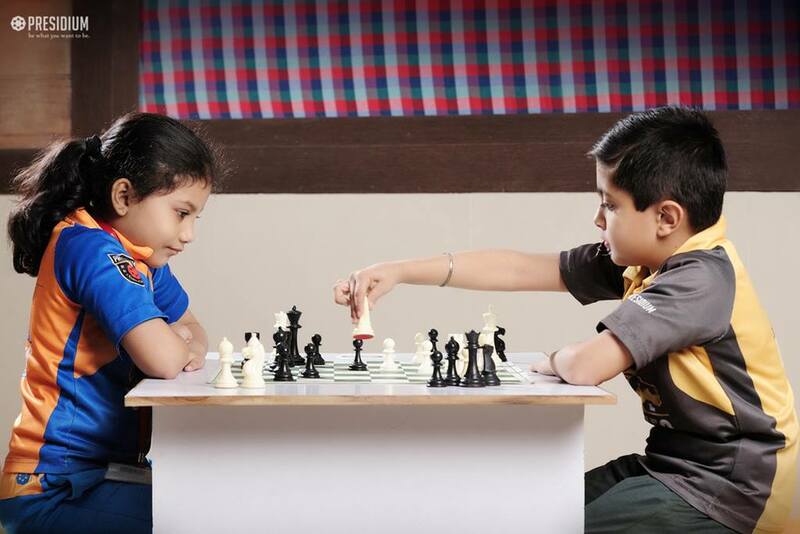 The ‘Inter School Chess Tournament-2017’ organised by American Montessori School, MG road was testimony to this very strength of our Presidian, Harshit Ratnani of grade III, who checkmated his opponent and found his way to the top position in under-07 category, despite the participation of a massive number of students from 20-30 schools from Gurugram. Yet another undefeated champion in the same category to make it to the 2nd position was Shatakshi Dey of grade II. 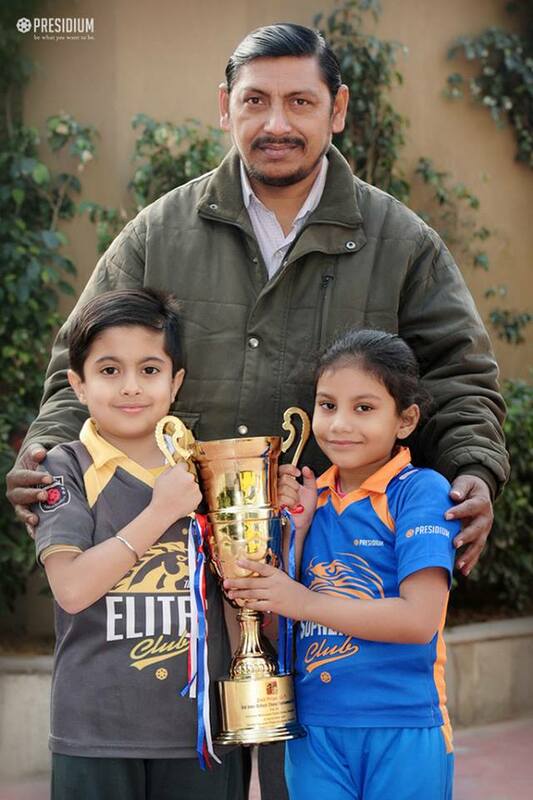 The concentration and dedication of these two chess maestros towards the game literally stunned everyone and they were awarded with a giant trophy. Way to go Presidians!